For your precious pet friends, Dubai Pet Food brings the tastiest treats and accessories that are vital for effective growth & grooming. Now you can sit at the comfort of your home and order pet food and accessories online. 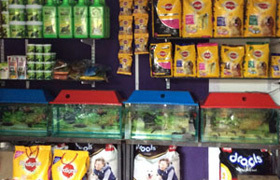 This pet food shop in Dubai is one of the UAE’s largest suppliers, with a vast selection of pet supplies and treats. Order pet food in Dubai online and get the same delivered at your home. And if you prefer checking out the products in person, there are physical stores that have a wide range of pet food, crates, toys, furniture, cages & homes and other accessories.